In my head, I knew everything was safe. But my heart pounded. Swinging back and forth, 50 feet high, holding on for dear life. 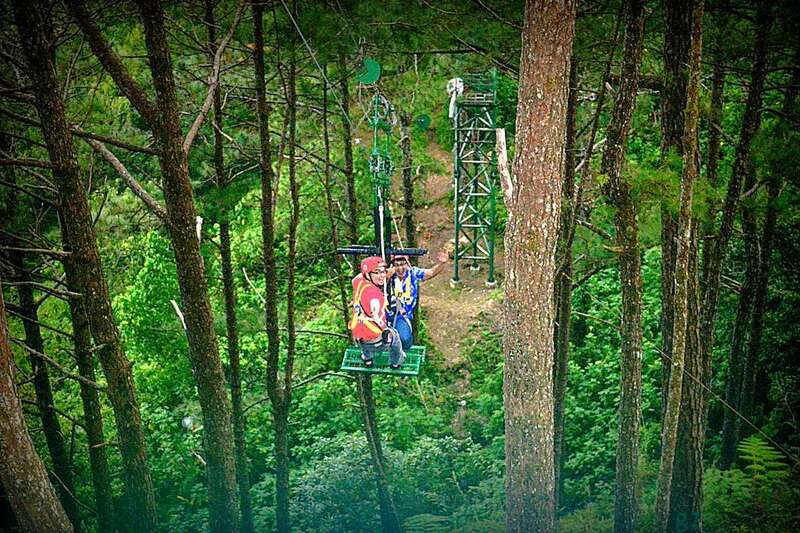 Clearly, the Tree Top Adventure Baguio’s Silver Surfer RIde’s the most terrifying activity they have… in my opinion at least. And yes, I’d like to do that again! 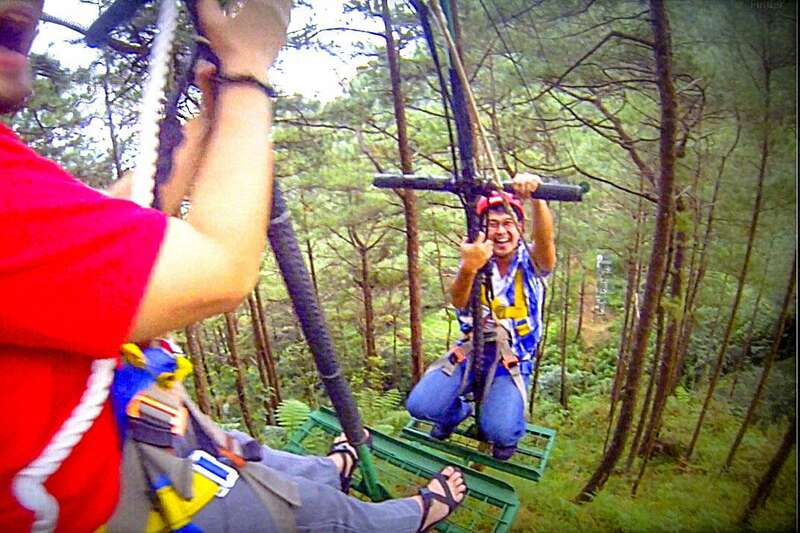 The facilitator will attach your harness to a specially designed ledge. This ride is best enjoyed when you have a screaming partner to double the fun. I was asked to lean back and let go of the metal bar in front of me. But I couldn’t release the bar. So the facilitator just asked me to try to move into a seated position. It worked. The harness was supporting me. The specially designed ledge allows two people facing each other experience the ride with the speed of 6 meters per second. 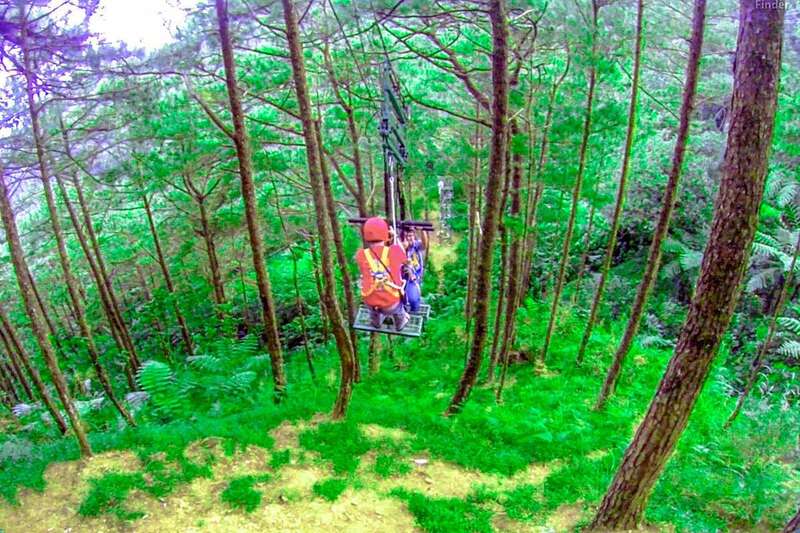 It’s like a 50 feet high diagonal zipline done standing up and it’s 75 meters long. When it started moving, my hand began to sweat. I was thinking about losing my grip because of the sweat, so there were times when I actually hugged the metal bar just to feel secure. But in reality, they say I could’ve released the bar and nothing would happen anyway because my harness was supporting me. Easy for them to say. Hahaha. Now here come’s the part why this ride’s terrifying… at some point, the ride suddenly stops. When it does, the ledge starts swinging in place, back and forth. During this part of the ride, you have to hold on to the metal bar because the swinging could push you forward and you might hit the bar. It’s this swinging that made me feel like I was going to fall off. That’s part of the thrill which makes this the most exciting for me. As if one major swinging wasn’t enough, the ride goes through three to five cycles. This means, the motorized ride will bring you to the other end, to the starting point and to the other end again several times. So the sudden stops and swinging will happen more than three times. This ride lasts for two to three minutes. But it actually felt like I was there for 10 minutes. Even after the ride, my heart was still racing. It was scary but it was definitely worth the experience. The Silver Surfer costs Php200 per person.